McGill University in Montreal, Quebec was founded in 1821 and is surrounded by the tall skyscrapers of the downtown region. These buildings can be seen from many viewpoints, especially from the lush green grounds. McGill University has 21 faculties and professional schools where students can choose from a list of 300 programs. The teaching staff at the university use English as their first language when teaching students. The grounds of the university are well used as the enrollment numbers can reach up to and over 30,000 students. McGill University grounds in downtown Montreal, Quebec, Canada. 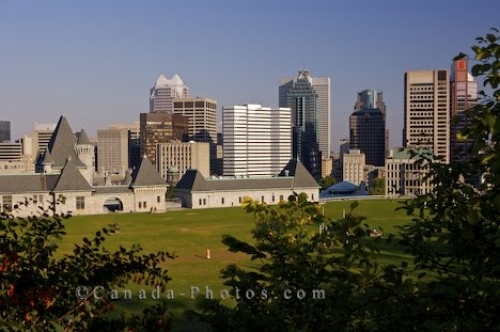 Picture of the grounds at McGill University which are towered over by the downtown skyscrapers in Montreal, Quebec.